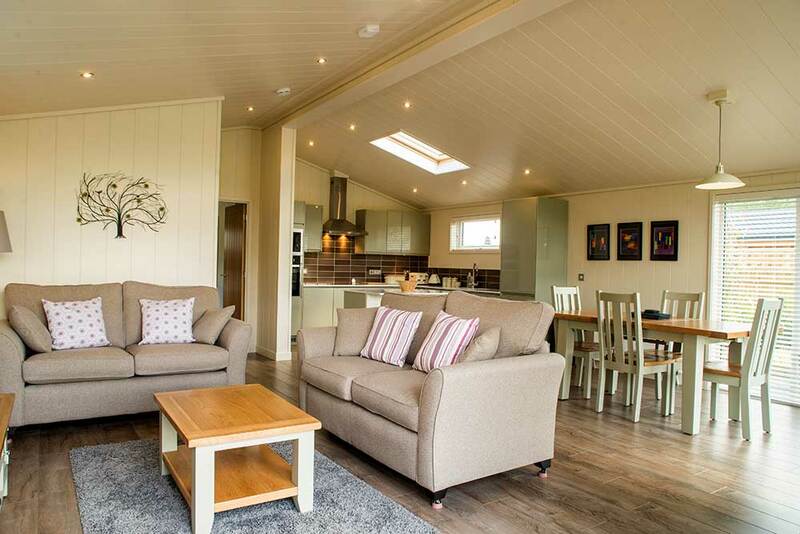 Stay in one of five luxury self-catering lodges located inside the South Downs National Park, each well-equipped and a comfortable home away from home which has everything you need to enjoy a fantastic holiday. Two of our lodges are complete with hot tubs. Based on the outskirts of the Sussex village of Hassocks, there is a great selection of shops, pubs and restaurants nearby. If there’s a lodge more perfect for a romantic break for two then we can’t imagine it…Willow Lodge is every inch the stylish retreat in the countryside. Set on the South Downs resort within the South Downs National Park, this one bedroom lodge showcases its setting in style. From the floor to ceiling windows that give the open plan living area a bright, open feel, to the elegant décor throughout, Willow Lodge makes a spacious and peaceful setting to unwind together. Step straight from the living area onto your private terrace, and choose whether to sit back at the table with a glass of something chilled or while away some time in your private hot tub. Our South Downs Lodges collection sits within the South Downs National Park, so if you’re dreaming of a true escape from it all in the Sussex countryside then they’re perfect. Set down your cases, curl up in the open plan living space and take in the country views that flood the room through the floor to ceiling windows. And, when you’re ready to give in to that holiday feeling, step out onto your private terrace and into the waters of your very own hot tub…bliss. Set amongst landscape as beautifully diverse as it is breath taking, rolling green pastures, ancient woodlands and a modern, luxurious design are just a few of things that will welcome you when you stay at Cedar Lodge. The spacious and open plan lodge, with its floor to ceiling windows and doors, easily absorbs the beauty of the surrounding scenery to flow into its modern and contemporary design. 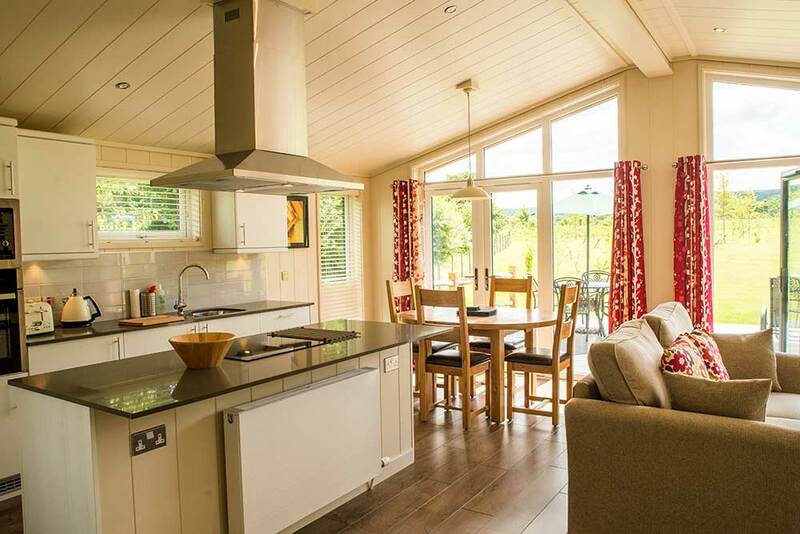 With picturesque surroundings, and deep sofas next to a crackling fire for those days where you simply want to cuddle up to a loved one; there will be no need to worry about the unpredictability of the British weather when booking your holiday. Set in the South Downs National Park, an escape to Cedar Lodge is a real opportunity to escape the hustle of everyday life. The South Downs Way National Trail covers 160 kilometres, so you can walk through ancient woodlands, carpeted with bluebells; watch roe deer darting through wildflower meadows; witness hares boxing or even spot a red kite hunting above. Spend some time with the people that matter most in the inspiring landscape of the South Downs National Park. 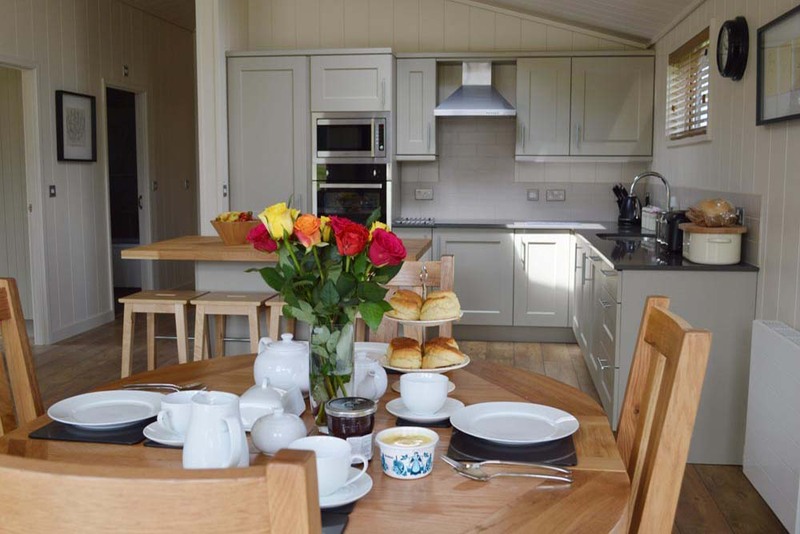 Oak Lodge is a two bedroom lodge surrounded by countryside and is home to stylish features throughout. 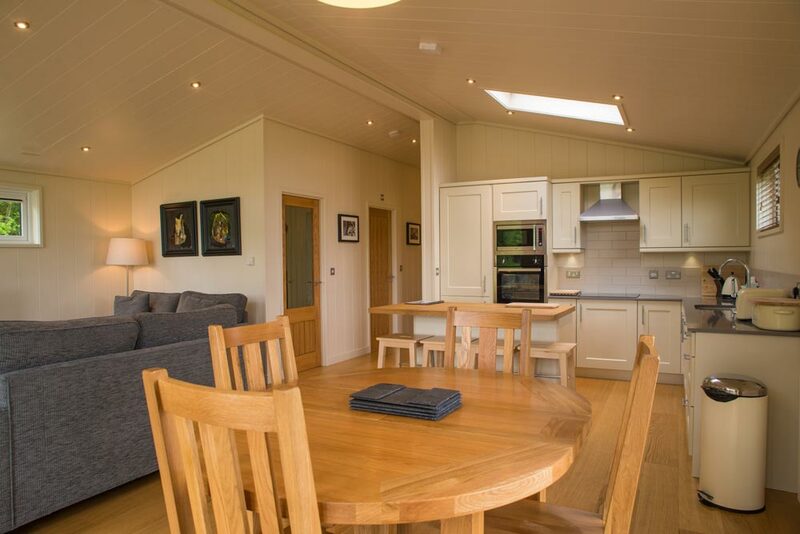 The lodge's open plan design creates a bright and welcoming home from home, while the floor to ceiling windows mean you can enjoy its rural location without leaving the sofa. 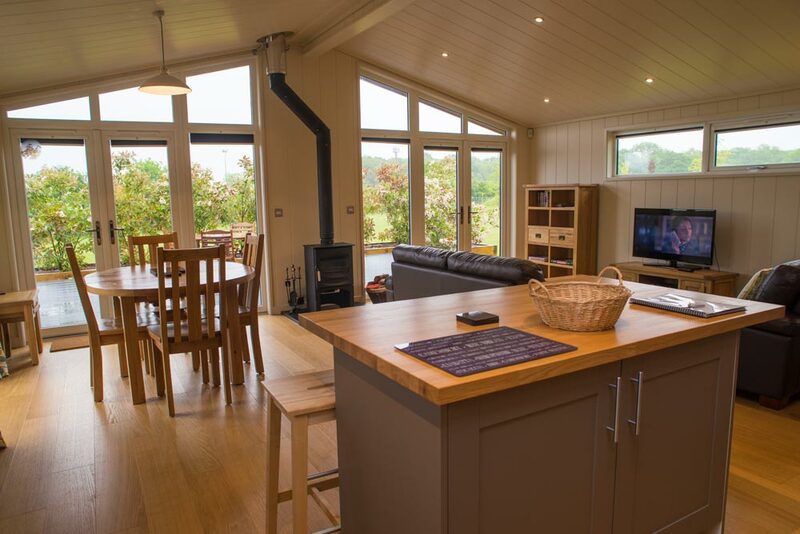 With plenty to do and explore outside and the comfort of a cosy woodburner to cuddle up around inside, Oak Lodge is perfect in any season, come rain or shine. As the living area opens out onto the private terrace you can make the most of your time in the countryside, and the decking's furnished with a table and chairs so you can sit back and relax.